They say you should never start with the weather, but look, it was a dark and stormy night and I don’t care who knows it. ADAM CHRISTOPHER is a novelist and comic writer. 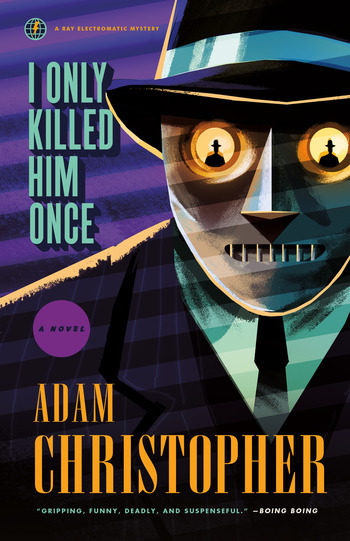 Made to Kill, the first Ray Electromatic mystery, was an Indie Next Pick. His other novels include Killing is My Business, Empire State, Seven Wonders and The Age Atomic. Born in New Zealand, he has lived in the United Kingdom since 2006.